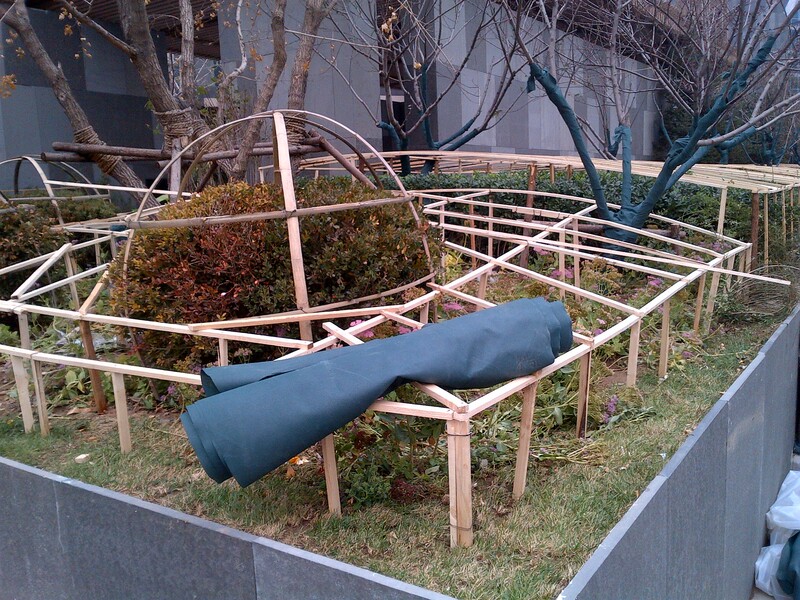 Bamboo for frost protection? Why not? 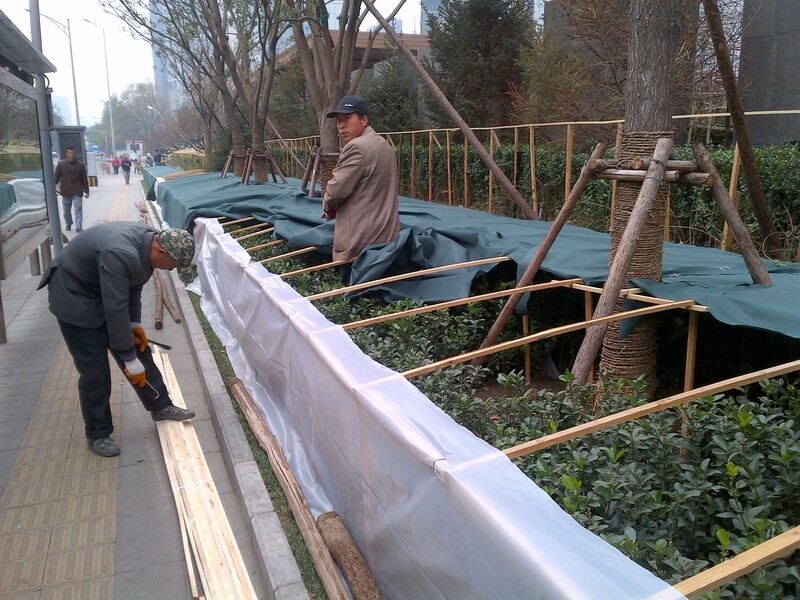 This morning, I walked passed a park in Beijing, and the local gardeners were busy preparing for winter. It can get cold in Beijing, and in December and January it is frequently below zero at night. To protect the more sensitive plants, structures are constructed of wooden slats, which are then covered with material. These boxes keep the cold out, prevent freezing of the leaves, and even keep the snow off the plants, if there is precipitation of that kind. To my surprise, the workers are using wood to make these box structures, not bamboo. It seems such a waste of timber to use wooden slats and strips to make these winter boxes, when China has abundant bamboo resources. It would be a great arrangement if there was a green procurement policy for the parks management department that promoted, or better still forced them, to buy local bamboo poles from southern China. 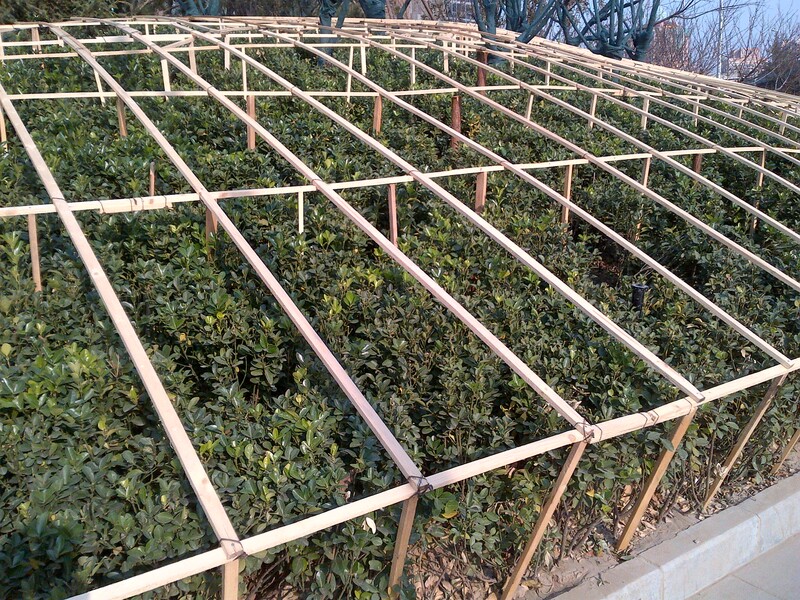 This would provide jobs for local people in bamboo producing areas, a guaranteed market for harvested bamboo poles and a green material for the construction of these winter boxes in Beijing. 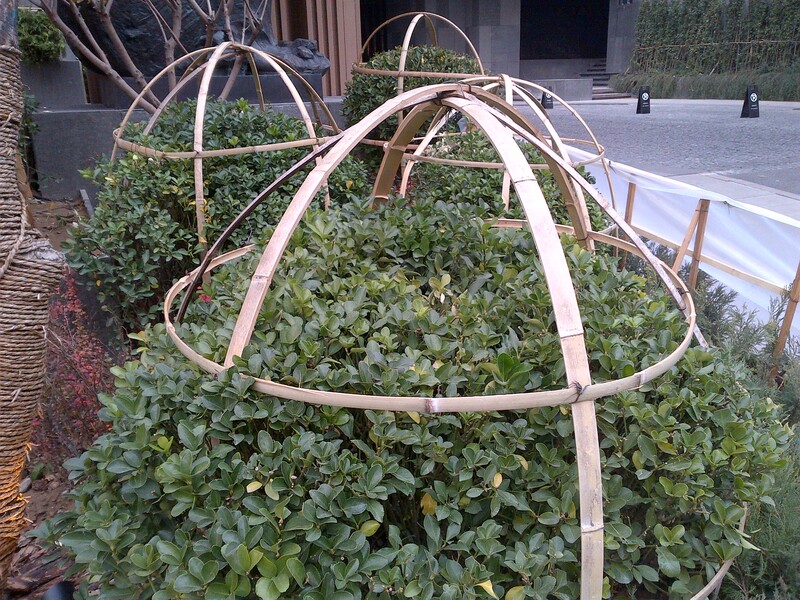 The interesting aspect of the work this morning was that bamboo was used to cover the rounded plants, as this required the strips to be bent, and you cannot do that with timber. So why not use bamboo for all of the supports?